I have lived in France, well Paris for just over 2 years and it was only in the last 6 months that I decided to venture away from the capital and see a little more of my adopted nation. Spending time in some vacation rentals in France and visiting all four corners of the country really opened my eyes and made me realize just how little is spoken about some of the regions in France which in all honesty, blew me away. Ever since then it seems that every travel blog or piece of travel news that I read is so incredibly Paris-centric and I wanted to do my bit to put things right. Don’t get me wrong, Paris is an outstanding city, elegant, artistic, full of sights and attractions and it truly is the city of romance and I am not for one second saying that you shouldn’t travel there. What I want to say is that after Paris, you should go and see the rest of this incredible country and here are 5 places that I love which will hopefully convince you to broaden your horizons the next time you visit France. Widely considered as the wine-capital of France, Bordeaux is a beautiful region which is situated in the south west of France in the Gironde region. Bordeaux sits on the Gironne river and is around an hour form the coast. This region is not only famed for its wine-grwoing climate, rolling valleys and vineyards but also for its rich history and its outstanding cuisine. Much of Bordeaux should be explored on foot and the number one attraction that any tourists should go to is the beautiful cathedral which overlooks the river. When I headed out of the city I really wanted to find that side of France which is drenched in nature, the tranquil and green areas which would give me the perfect chance to decompress after living in a bustling capital. I found exactly what I was looking for in Auvergne, a forested, volcanic region right in the heart of France which appears as though it has been untouched by the changing hands of time. I spent over a week in this region hiking up to volcanoes, bathing in hot springs and even managed to do some skiing whilst I was there. If you want to enjoy a relaxing break in isolation then look no further than Auvergne. The miniature and younger sister of New York’s Statue of Liberty in Paris is not the only similarity between the two nations and in Les Gorges du Verdon you will find France’s answer to the Grand Canyon. Set in south east France between the Alpes-de-haute-Provence and the Var this 15 mile long, 700 meter deep canyon is finished off with the glistening, turquoise waters of the river Verdon which flows through the heart of the crevice. This wild region of France is rarely talked about and a visit here will allow you to see a very different side to the country. This who are looking for adventure can hike around the canyon or even raft and kayak along the choppy waters of the Verdon. Bretagne or Brittany as it is widely known is a rigged coastal region on the west coast of France that feels as though it is a country within a country. Everything is different here, the food, the weather, the locals and even the history and it makes for a truly eye-opening place to visit. Here you will find thick forests to hike through, choppy seas to sail on and medieval towns to learn about. In my opinion you will find the very best seafood that France has to offer right here in Brittany and you can wile your days away exploring the dramatic coastline and take in the seemingly forgotten towns of Roscoff, Quimper and Vannes. There is much to see and do in Brittany from the natural to the man-made and it should most definitely be a place that you visit at least once during your time in France. My favorite fRench city is Nice, set on the French Riviera this city offers all of the razzmatazz of Paris with the addition of beautiful weather and the glorious sea. 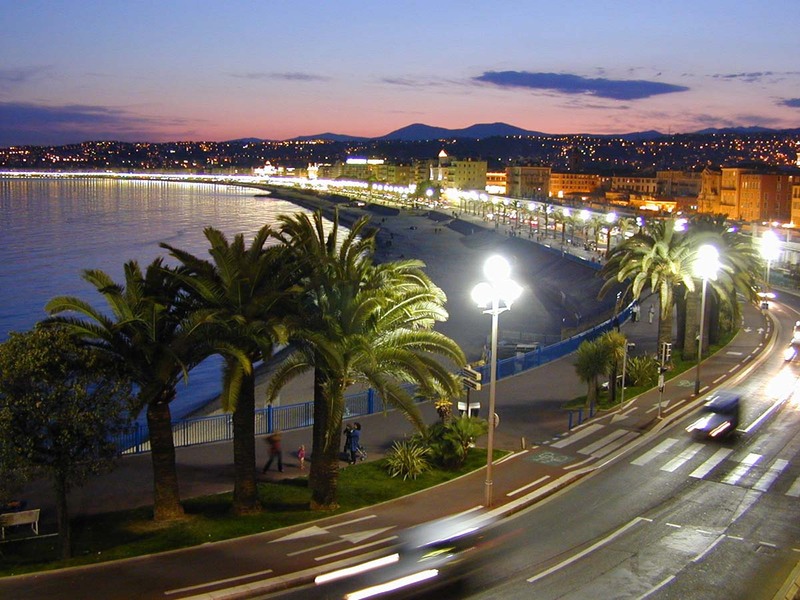 A 30 minute ride from Cannes and not too far down the coast from the likes of Monaco and St Tropez, Nice is perfectly situated for a nice break in the warm Mediterranean sun. The city is very trendy and there are plenty of students who call Nice their home, this gives the city a very ‘hip’ feel to it and gives tourists a great location to unwind and enjoy themselves. Do you have a favorite French destination? Let us know if so and why in the comments section below and share it with the World.